Writing from Kuala Lumpur, Malaysia -- In the afternoon, hundreds of reporters assemble in the ground floor ballroom of the Sama-Sama Hotel in Kuala Lumpur and listen attentively while the various men investigating the mysterious disappearance of Malaysia Airlines Flight 370 repeat that they are investigating all possibilities. When asked to expound on those potential scenarios, the definition of "all" really gets quite narrow. Those in front of the cameras and those behind them are totally focused on a crime; a hijacking, a deliberate act. This is based on several findings. Various electronic communication methods ceased as the plane was leaving Malaysian airspace less than an hour into its six hour flight to Beijing. The pilot acknowledged a hand-off to Vietnam air traffic control but never radioed in. The plane made a sharp turn off its flight plan to the west and then began to fly erratically. Seven hours and 31 minutes after takeoff, the last hourly signal from the plane to the Inmarsat satellite network was received. Otherwise there was total silence from the crew on board flight 370. The world has been looking for the Boeing 777 ever since. Investigators seem to think only a deliberate act could be responsible for break-off of data from the plane's ACAR system and the radio transponder. Only someone at the controls could explain the left turn, the steep ascent and erratic course out to the west. Maybe they're right. But I can't help but think that there are other scenarios and I'm not alone. I'm not suggesting hypoxia is the issue here, though an experienced 777 captain and air safety investigator who did not want me to use his name, suggests it is possible. "What has been described as an erratic flight profile captured by military radar, would better describe the actions of a non-pilot attempting to control the plane, or even a partially incapacitated pilot, or no pilot at all," he told me. "This opens up scenarios to me that could include electrical fire, causing loss of some systems (transponder, ACARS) and incapacitation of the pilots due to smoke, fumes or fire. A bomb could cause structural damage that might result in loss of systems and incapacitation of pilots." I understand that the evidence gleaned from the data streamed off the airplane and then the unexpected absence of data looks awfully suspicious. Intentional action is not far fetched, except for the fact that nine days of intense media scrutiny hasn't turned up even a hint that either of the pilots, Capt. Zaharie Ahmad Shah and Fariq Abdul Hamid were interested in anything out of the ordinary for pilots; motor bikes, music, (women in the case of Fariq) and flying. Zaharie, even built a home-made flight simulator since 18 thousand hours in the air just wasn't enough for him. Further at the news briefing today, the transportation minister Hishamuddin Hussein said the cockpit crew did not ask to fly together on flight 370 and fuel loaded on board was standard for the route, KL to Beijing. Two more reasons a rogue crew theory seems unlikely. 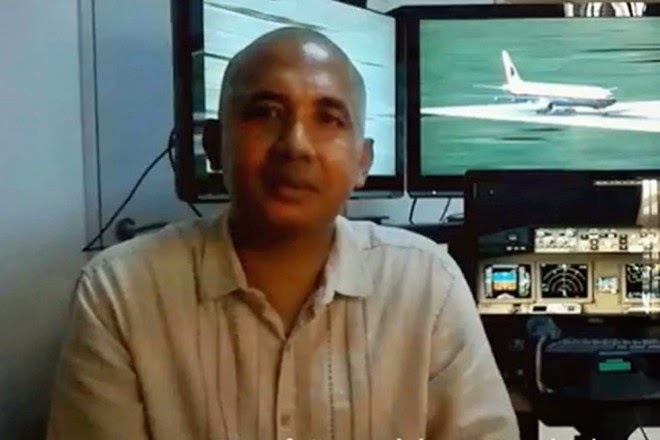 Considering his experience, the 52-year old Zaharie probably wasn't a bad enough pilot to be at the controls of the errant flight 370. In fact, two pilot acquaintances suggest to me that it is possible no one was. "The 777 could, in theory, fly quite far even without an autopilot engaged and with no one in control. The controls are moved by flight computers which provide some degree of stability even when the autopilot is not engaged. It has automatic bank angle protection that would prevent it from banking steeply and entering the steep spiral that ends most uncontrolled flights. Loss of electric or damage to this computer system could remove some of this stability. The aircraft might meander in the sky repeatedly climbing and descending until it ran out of fuel." "Most airplanes are dynamically stable, when they are disrupted from their flight path they return," another former 777 pilot told me. "If the airplane was no longer in an altitude hold the airplane will climb until it loses a little speed, then it will descend. As it descends it picks up speed." Changing winds might cause the the airplane track to change, the plane would roam in the sky. These theories sound more credible so at the risk of having readers remind of this if I turn out to be wrong, I'm going to weigh in with the pilot and his "no-pilot" theory. Like everyone else watching and waiting and jawboning about this disturbing episode, I can't fathom how that happened. But neither can I join the growing chorus convinced this mystery is an intentional act. By rolling out the Prime Minister to point to the strong likelihood of a deliberate act, the Malays conveniently walked away from spending a lot of time, effort, and money to search a vast ocean and land space. That is what the Koreans did for Korean Flight 858, when they were able to pin it on North Korean agents, get a confession, and never bothered to find the wreckage and recover the black boxes. Right on, Christine, as usual. Read the South African report on SA 295, which crashed into the Atlantic Ocean on 28 November 1987. I find it odd that NONE of these were in use at the time the plane vanished. Has anyone from the useless media bothered to ask this yet? So which one of the pilots had the final call? Was it a different voice from who made the ealier messages? That might tell us who was or wasn't on the flight deck. Have they analysed ALL the conversations to perhaps listen for background noises. Again the media appear not to ask these questions and seem rather willing to take the word of the Malaysian government. Why have they not released the cockpit voice tapes yet? What are they hiding? In response to Anonymous, Malaysia Airlines tested the AeroMobile system you're referencing on a single 777. Panasonic - which owns AeroMobile - says the system was only trialled on one aircraft and it wasn't MH370. I am grateful, Christine, to be able to hear your thoughtful, informed and balanced response to what's going on; thank you for keep us posted. Lets say there was a decompression the pilots were aware of, communications were disabled, and they were attempting to return to KL. Would one of the things that would be done be to program a new flight path into the FMS returning the aircraft to the airport? And if so, is there any possibility that the observed flight path differed from a plausible return to KUL in a way that could be "easily" explained by someone in state of advancing hypoxia entering the wrong characters into the FMS? I think the plane is observed to be on a heading of roughly 330 degrees. What if they meant to head 130 degrees once west of peninsular Malaya and come into KUL down the west coast of the peninsula? The last voice contact was via a plane on its way to Japan that made contact but only got a buzz and no spoken word contact. 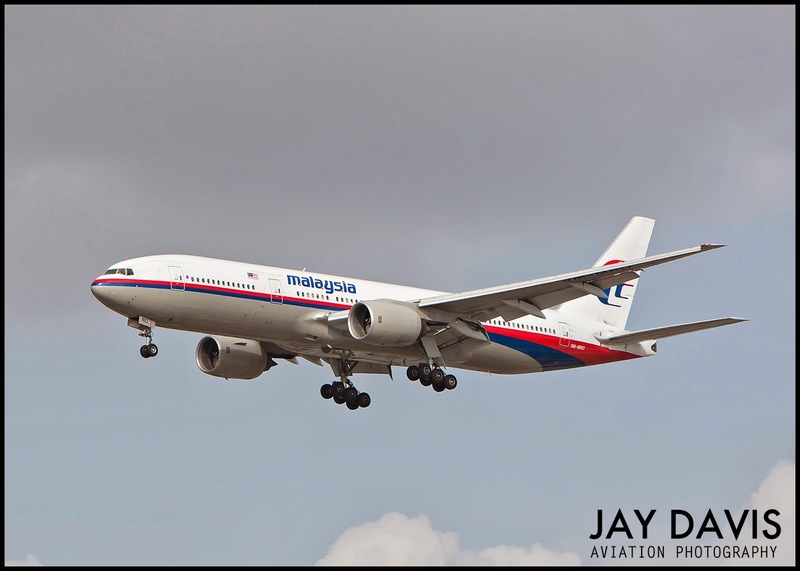 "A Boeing 777 pilot flying 30 minutes from the missing Malaysia Airlines plane told the New Straits Times in Kuala Lampur, Malaysia that he made contact with MH370 minutes after Vietnamese air traffic control asked him to message the plane. The captain, who declined to give his name, said his Narita, Japan-bound plane was well into into Vietnamese airspace when controllers — who could make contact — requested that he relay with his plane’s emergency frequency a message to MH370 so that it would establish its position. “We managed to establish contact with MH370 just after 1:30 a.m. and asked them if they have transferred into Vietnamese airspace,” the pilot reportedly told New Straits Times. “The voice on the other side could have been either Captain Zaharie (Ahmad Shah, 53,) or Fariq (Abdul Hamid, 27), but I was sure it was the co-pilot. “There were a lot of interference… static… but I heard mumbling from the other end. “That was the last time we heard from them, as we lost the connection,” the pilot said, adding that he thought nothing of the lost contact since it happens frequently — until he learned of MH370 never landing. “If the plane was in trouble, we would have heard the pilot making the Mayday distress call,” the pilot said. “But I am sure that, like me, no one else up there heard it."" Made contact --- someone tell me if the radios indicate if the other side is ready to talk... i.e. mic switch pressed on. If that is the case, it supports theory that something incapacitated the crew and prevented them from talking even though mic was pressed. Plane flew as low as 1,500 meters. The changes in altitude is consistent with a plane with no crew. What is needed is to feed the incident knowns into a CAE simulator, including the best available wind / weather data for that night, and see if a pilotless plane will have taken the route it did after the last (apparently) commanded turn back. Here is a chart of prevailing winds around that time. Note the wind patterns fit the plane crossing the Malaysian Peninsular, then turning south (or north) along the Strait of Malacca and going onwards. Suppose there is an electrical fire in the cockpit. Pilots donning the oxygen mask may just create another problem --- they are flammable! If smoke filled the cabin, the pilots would have asphyxiated without necessarily getting to their mask. Let’s say if there is a cockpit fire fed by oxygen like Egyptair. Once the hull was breached — fire soften metal, bang. Explosive decompression and loss of oxygen would put out fire and incapacitate crew. This fits with Vietnam oil rig worker description. They would not be able to don oxygen masks because the system was not working- -- it was the cause of the fire. Without oxygen, a breach in hull, possibly 500knot wind in cabin, they had minutes to live. Crew survived long enough to turn plane around, and then died while fire burned itself out. This fits with description of another aircraft that tried to contact them, got through, only to get a buzz instead of voice contact at 1:30am. At 35,000ft, they would not be able to talk --- not enough air to make a sound. Or cabin was being hit with 500 knot draft. Plane flew by itself to cross peninsular, then onto Indian Ocean. Do we know enough about MH 370 to start a simulation to see if an oxygen hose or cockpit fire could have caused their demise? If the simulation show evidence consistent with a fire at 35,000ft, hull breach, no oxygen system (hence no pilot), it is probably enough evidence to consider an Emergency Airworthiness Directive to inspect cockpit oxygen hoses and wiring. Good Grief! This blog seems to have transmogrified into a second Pprune! What if you were the co-pilot, Fariq Abdul Hamid, and a few days before a girfriend had spurned you. I don't know. Why does anyone commit suicide? I'm not going to ask WHY, I'm just going to assume that this was the case. Ab Hamid, despondent but hiding it well, gets on Flight 370. He already has a plan. He doesn't have the guts to blow his brains out (can't get a gun, either) but knows ONE WAY he can do it -- and it's a comfy way, a way he's intimately familiar with. He'll kill himself in his beloved cockpit. So, perhaps even on the way to the airport that day, he hatches a plan. Or perhaps he's hatched this plan and mentally rehearsed it recently on several flights. He knows his schedule. He knows the captain well -- he's a good guy and won't make any trouble when the time comes. All Hamid needs is a little time. They get up in the air. Hamid, thinking furiously, finally makes the decision to do it. But he doesn't have the guts to plunge the plane into a massive dive -- he knows that would freak the passengers out and really, he's a good guy -- he doesn't want them to suffer. But he's made up his mind. So he puts his plan into action. Just at the upcoming border with Vietnam, he asks the captain to do something for him -- we don't know what -- or leaves the cockpit himself. He knows the combination to let himself back in. He goes below and turns off the transponder and fetches a bottle of walkaround oxygen that only the crew has access to. He comes back to the cockpit. The captain has noticed that the transponder has been turned off and confronts Hamid. Hamid says something like "I didn't do anything! But maybe you should go check it out!" So the captain leaves the cockpit to go check the transponder below. Immediately, Hamid pulls the throttles to zero. Instantly, the rear cabin depressurizes. Hamid dons the oxygen walkaround and ignores the captain hammering at the cockpit door. He's somehow changed the conbination. After two or three minutes, when he's pretty sure the back of the plane is immobilised, he gives the "Good night" announcement to ATC and then boots the engines and immediately climbs the plane to 45,000 feet, making sure that all in the back are now dead. He then brings the plane back down to 29,000 feet and repressurizes the cabin. He goes back to the galley and maybe fetches himself a bottle of scotch and comes back to the coskpit. The plane is silent. He sets the course for some distant waypoint in the Indian Ocean and begins to drink the scotch. After a couple of hours of drinking and crying, he finally decides to pull the plug. He depressurizes the plane for the last time, and lapses into unconsciousness. The plane dutifully flies the waypoints he programmed, way over the Indian Ocean, for hours longer. At around 8:30 a.m. it begins to run out of fuel -- first one engine goes, then another, and he's losing altitude more and more rapidly. He's almost at sea level when the final engine coughs its last and the plane hits the water at 470 knots, breaks up, and quickly sinks, thousands of miles from the nearest land. It is 6 more days until anyone realises he may have taken the plane that way. By that time, the wreckage -- such as there is -- is so scattered that there is little left to find. Hamid has committed his lonely suicide and now no one will ever know what happened to him and the plane. Pilot suicide is exceedingly rare. There are just much better ways to do it unless it is a WWII Kamikaze pilot. the Malays are an ethnic group, a subset of the Malaysians citizens. I don't think "the Malays" walked away from anything. “WASHINGTON — The first turn to the west that diverted the missing Malaysia Airlines plane from its planned flight path from Kuala Lumpur to Beijing was carried out through a computer system that was most likely programmed by someone in the plane’s cockpit who was knowledgeable about airplane systems, according to senior American officials. This piece of information might fit the theory that pilots were fighting a fire in the cockpit rather than deliberately piloting the plane with the autopilot to do something they are not suppose to do. If there was a cockpit fire, and pilots had to evacuate the cockpit, and as they did so, they programmed the autopilot to do the turn before they fled to get fire extinguishers, etc. or to escape the smoke. Look at the Egyptair fire. If that happened in flight, would the pilot that remained in the seat be alive to talk about it or to save the plane?